MCLAB offers a fast and professional sequencing service for mouse and human antibodies. Sequences are compiled and aligned based on bi-directional sequencing of multiple independent clones. MCLAB offers a fast and professional sequencing service for your valuable monoclonal antibodies. Antibodies come in different varieties are known as isotypes or classes. Each one differs in their biological properties, functional locations and ability to deal with different antigens. 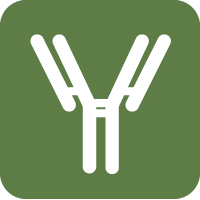 Knowing the specific isotype of the antibody of interest is crucial for downstream experiments. Antigen of interest can be coupled to a solid support in order to specifically purify only antibodies that have affinity towards the antigen. ELISA, enzyme-linked immunosorbent assay, is a common biochemistry assay used to detect a substance in a liquid or wet sample. It is a fast and reliable method to evaluate the presence and concentration of an antigen or antibody in a sample. Recombinant Protein G is an immunoglobulin-binding protein derived from the cell wall of certain strains of b-hemolytic Streptococci. It binds with high affinity to the Fc portion of various classes and subclasses of immunoglobulins from a variety of species. The albumin and cell surface binding domains have been eliminated from Recombinant Protein G to reduce nonspecific binding and, therefore, can be used to separate IgG from crude samples. Due to its affinity for the Fc region of many mammalian immunoglobulins, protein G is a major application in purifying antibodies. Protein G is considered a universal reagent in biochemistry and immunology. These are monospecific antibodies derived from one cell line. They have monovalent affinity towards the same epitope and are generally produced by fusing myeloma cells with the spleen cells from a mouse that has been immunized with the desired antigen. Most peptides of interest are not adequately large enough to be immunogenic. Conjugation to a carrier protein is usually necessary. KLH, Keyhole Limpet Hemacyanin, is used for conjugation to the peptide of interest because species cross-reactivity is very minimal. Polyclonal antibodies are obtained from different B cell resources. They consist of a combination of immunoglobulin molecules secreted against a specific antigen in which each identifies a different epitope. Production of polyclonal antibodies involves the inoculation of an antigen into a suitable animal, such as mouse, rabbit or goat. Currently we offer polyclonal antibody production from rabbit and chicken.